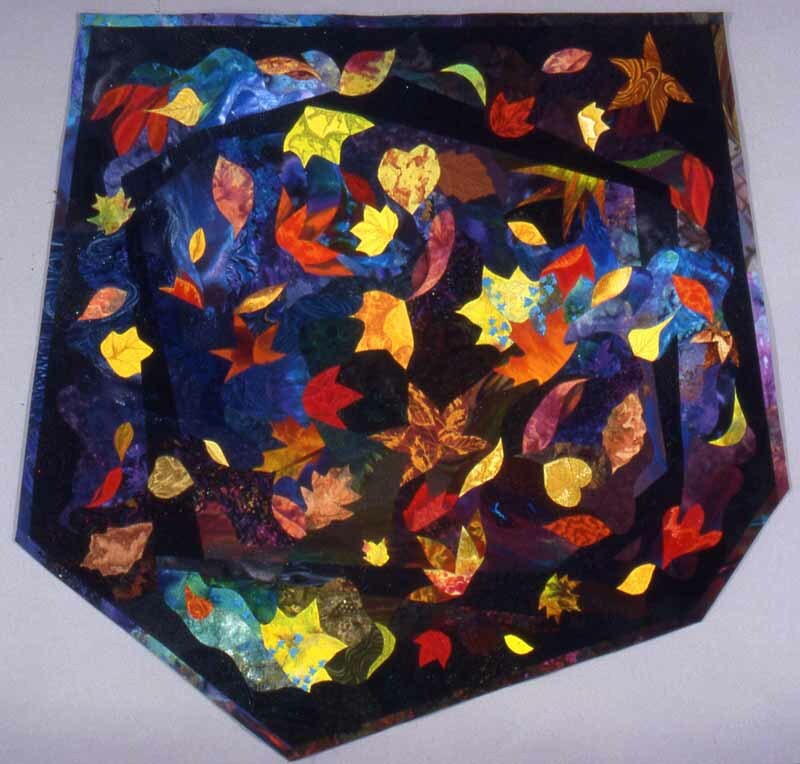 The fall season at Blacklick Woods Metro Park in Columbus, Ohio is the inspiration for my quilt, "Tears on Blacklick Pond". The floating autumn leaves are beautiful and colorful at Blacklick. I delight in these leaves drifting around me, swirling in the breeze. Yet this is a bittersweet time. The leaves are "tears" and their fall signal the death of the season. 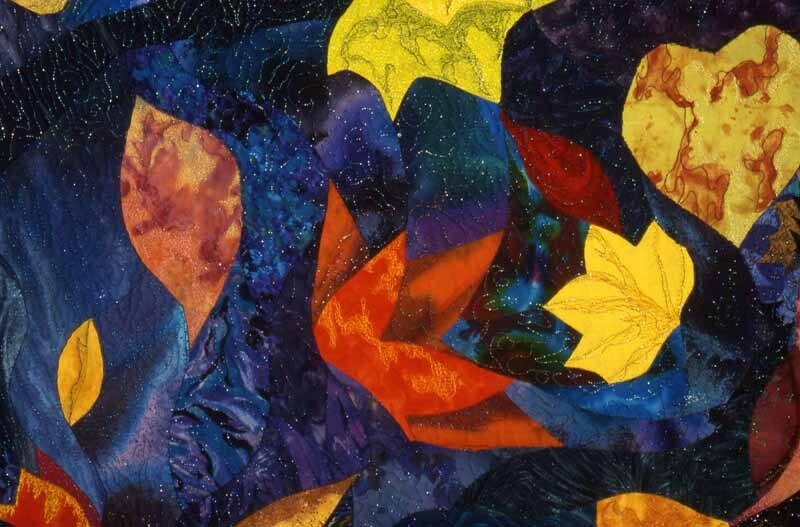 Again, as with "Blacklick Pond--Reflections At Twilight," the continuance of the quilt after the inner black borders represents that there is life again after death. The uneven sides depict the uncertainty of our life.